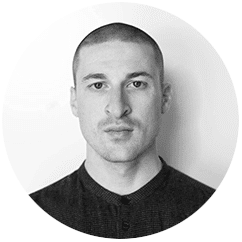 Nicolay Boyadjiev is an architect and design strategist based in Montreal and Moscow. He is working at the intersection of architecture, system design, and platform urbanism, with his recent projects focusing on addressability and cognitive extraction at the urban scale. His design and conceptual work has received multiple awards and has been showcased in Volume, Moinopolis, Fast Company, and Architect Magazine. Nicolay is currently the Program Design tutor of “The New Normal” at the Strelka Institute for Media, Architecture and Design in Moscow.